Inspired by Béla Bartók's progressive piano pieces Mikrokosmos, Change of Time creates miniature tone poems like little episodic travelogues. Cloud of notes, filled with Brownian motion, congeal into drops of primordial soup brimming with life. 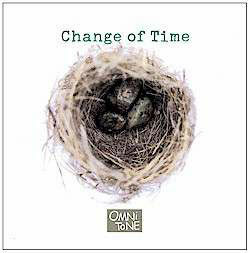 Buy Change of Time now at the OmniTone store. All compositions by Russ Lossing, Adam Kolker, John Hebert, except as noted. Tracks 1-7 published by Reklok Music/BMI; 8-15 published by Woodworth Edition Music/BMI.